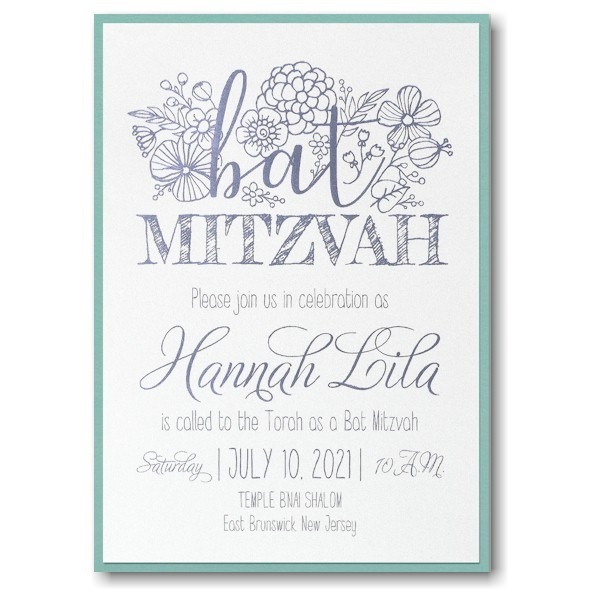 This whimsical Bat Mitzvah invitation is foil stamped on White Shimmer card stock that is layered over Lagoon Shimmer stock and features outlined florals surrounding the words “Bat Mitzvah” at the top. 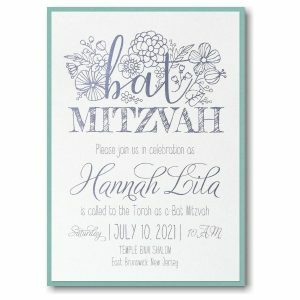 This whimsical Bat Mitzvah invitation is foil stamped on White Shimmer card stock that is layered over Lagoon Shimmer stock and features outlined florals surrounding the words “Bat Mitzvah” at the top. 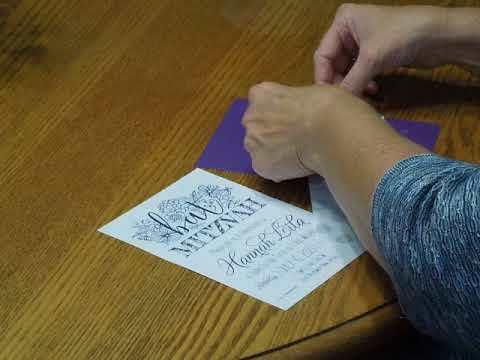 Your wording details will follow below as shown. Measures 5-1/8″ wide by 7-1/4″ high. 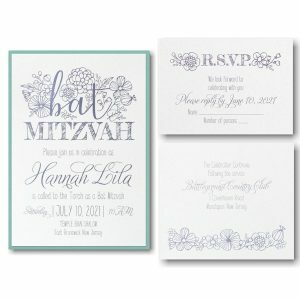 Shown with Passion foil and combination lettering styles QDR/ADS. 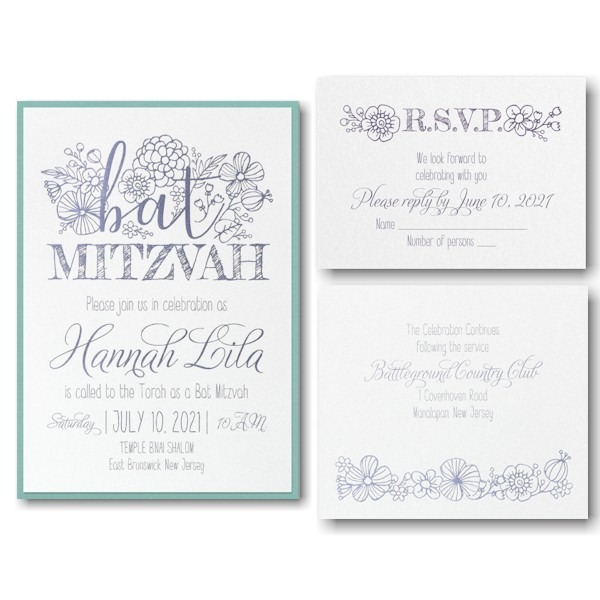 The coordinating enclosures will print on matching single card stock. 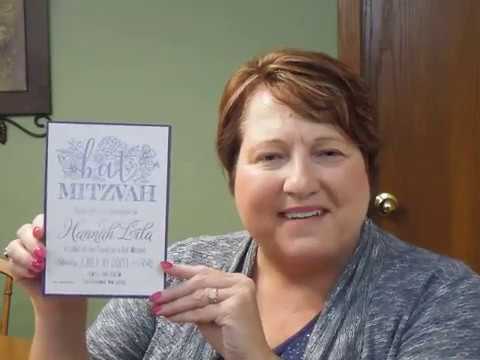 This Bat Mitzvah invitation is accompanied by single white envelopes.